Another suggestion by @woftam and an excellent one if it keeps working. Although already planned we have another @woftam suggestion done. 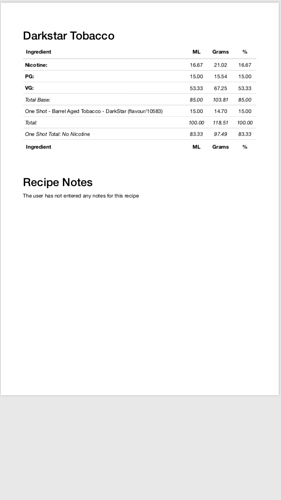 When using the Mix This button a check will be performed on your flavour stash amounts for that recipe, if your stash flavour amount after mixing will be 2ml or less you will receive a warning. 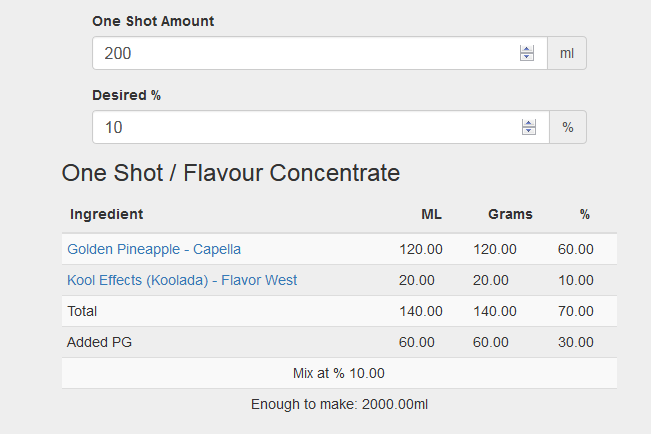 if your stash flavour amount after mixing will be 2ml or less you will receive a warning. Is there a chance we can make the numeric a user adjustable one? I know I get nervous (on my most frequently used) if I run below 5ml…but for things like Acetyl Pyrazine or WS-23, 2ml would be about right. Calculator will be going down for maintenance. If your using it right now, let me know how long you need. I’ve given security a bit of an overhaul, you can now work from more than one page, hopefully without problem. 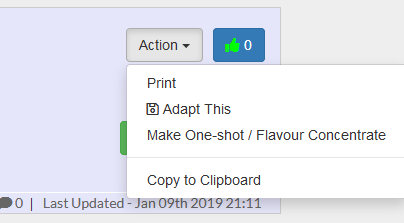 Create a One-shot / Flavour concentrate from any recipe, click the action menu. 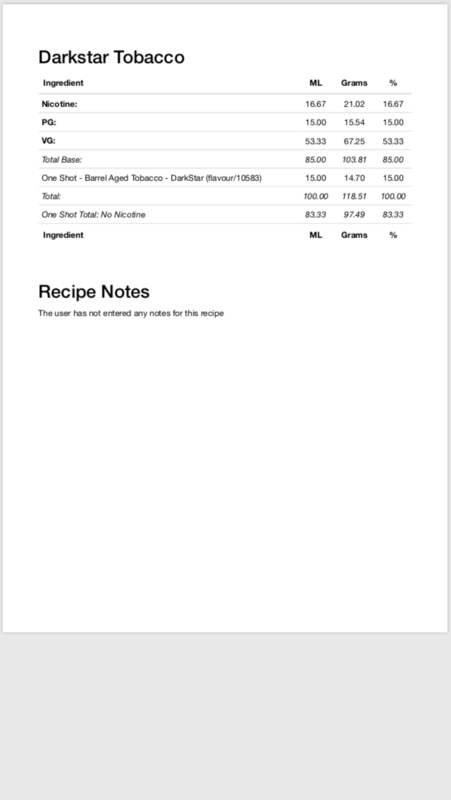 You mean, as in, we’re able to make notes about the recipe that inspired us to add it to the shopping list to start with? Or who recommended it? If so, that’s something many have wanted for a LONG time! !